It is a distinct honour for me to address you here today, on behalf of the Alliance of Small Island States here at United Nations Oceans Conference to Support the Implementation of Sustainable Development Goal 14. We thank the co-Presidents of this Conference, Fiji and Sweden, the Secretary-General and the President of the General Assembly for convening this important event. We welcome the Call for Action to be adopted at the Conference and further welcome the voluntary commitments being announced at this Conference to further the implementation of SDG 14. We are inspired with the enthusiasm that this Conference has generated so far, and we welcome and appreciate the sustained commitment from the international community to work together to ensure the health and well-being of our oceans and the communities and societies most dependent on them. SIDS interconnectedness with the ocean is the reason why we were at the forefront of ensuring that SDG 14 found its rightful place in the 2030 Agenda. We will continue to work hard to ensure its full and rapid implementation. Small islands face many unique challenges in ensuring our sustainable development - from limited human and financial capacity, geographical smallness in size, remoteness and the inability to achieve economies of scale are few to list. 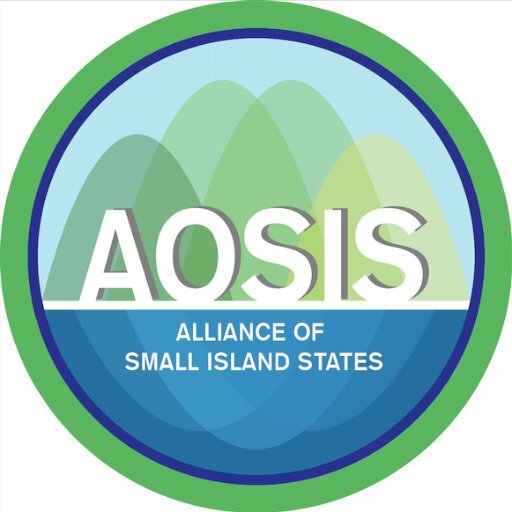 And although we fully recognize the indivisible and interconnected nature of Agenda 2030, the ocean is of special significance for small islands, as custodians of large expanses of ocean, what we recognize as large ocean states. Although the distances between our nations is often great, our presence here today symbolizes our resolve to protect the great oceans of this planet that connects us in innumerable ways. In this regard, AOSIS remains steadfast in its support for the full and rapid implementation of Sustainable Development Goal 14 to ensure a healthy ocean for our generation and future generations to come. While we are ambitious, and hopeful in our plans for the ocean, we are ever conscious of the impact that climate change has on our ocean, as we stand on the frontlines of the impacts of climate change on the ocean. We note the unquestionable link between climate change action, the ocean and sustainable development for SIDS. Climate change affects all areas of sustainable development, from agriculture to water security; from extreme weather events to ocean acidification and coral bleaching. Each of these impacts has potential devastating impacts but together they have and could cripple our food supplies, economies and development. Questions have been raised in various forums about our existence in the next few decades with these threats. Moreover, oceans and seas are the primary regulator of the global climate and an important sink for greenhouse gases. They provide us with water and the very oxygen we breathe. Oceans and seas are indeed a topic of universal importance. This is the reason why AOSIS countries have underscored that oceans and seas is a thematic priority for the post-2015 agenda. As a result of unsustainable consumerism and industrialisation, Marine pollution is also becoming a significant challenge across the world, and particularly for small islands. More people, and industries, have access to the ocean than in any other time in history. Millions of people throw trash into our oceans everyday, and vessels and factories of all shapes and sizes dump pollutants into the ocean. This is especially sensitive subject for SIDS as we are disproportionately affected by marine pollution, compared to other countries. While part of the solution is reusing, reducing and recycling waste, a more difficult part of the solution is retrieving marine debris that end up in our oceans. Often debris from far away distances that does not necessarily originate from SIDS. But the task before us in restoring the ocean goes well beyond marine pollution: ocean acidification due to greenhouse gas emissions and illegal, unreported and unregulated fishing, are fundamental challenges that need to be addressed immediately as well. For SIDS, the ocean is a hallmark of our very existence, our way of life, history and heritage. Healthy oceans vitalize not only SIDS, but the planet that we call home. Therefore, we must be steadfast in our efforts to care for and restore the health of the ocean. It is only through the full implementation of the 2030 Agenda, and in particular SDG 14 under it that we can ensure strong, healthy and resilient oceans for small islands and for the rest of the world. On behalf of the Maldives delegation, I would also like to highlight that marine pollution, especially due to plastics and microplastics, is an issue of utmost urgency. Plastic pollution affects marine biodiversity, food security, and industries such as fishing and tourism that SIDS must depend on for our livelihood. Proudly, Maldivian fishery has a reputation as the cleanest and the greenest fishery in the world. On this occasion, I am proud to announce that our fisheries industry, consisting over 1250 pole-and-line, handline and longline fishing vessels and processors will move one step ahead to reduce and phase out use of plastics, and intercept ocean plastics in our 1-million square kilometre wide EEZ. The plastics intercepted by fishermen and collected at designated collection points will be handed over to Parley for the Oceans , who Maldives has been closely working with to recycle and reuse plastic wastes. We urge other nations to join hands to achieve environmental sustainability globally. I look forward to fruitful deliberations in the Conference and this would ultimately result in a healthier oceans for our future generations.